As you can see you will need three bracelets for this project. If you have enough patience, one will be enough, but just in case you don't get it right on the first try you will still have 2 extra bracelets to try again. 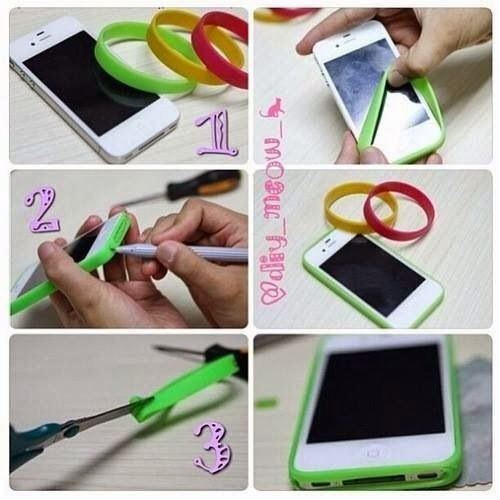 Start with stretching the rubber bracelet on the edges of your phone. You are done! Your new smartphone bumper is ready, looks great and didn't cost you a lot of money.